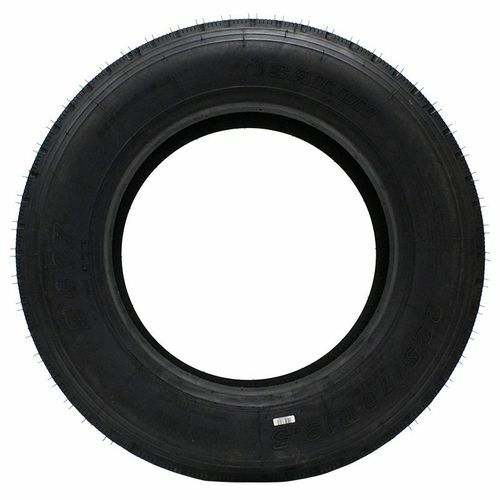 The S637 from Sailun is a versatile, regional all-position tire designed with five extra-wide ribs to deliver exceptional stability at all speeds. Featuring an extra-wide solid shoulder and mirrored tread design, the tire resists damage caused by high-scrub applications and promotes a long, even wear life. Wide grooves offer hydroplaning resistance, while a durable rubber compound is optimized for extended tread life. 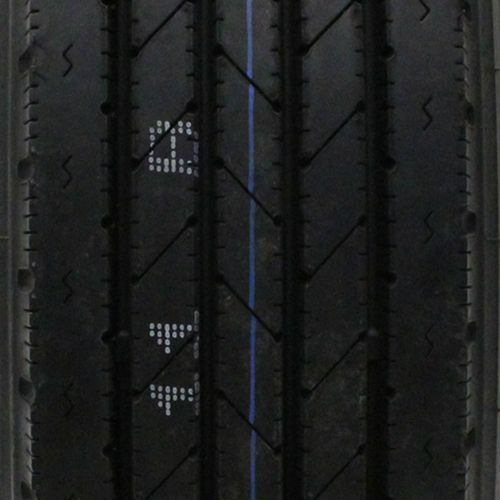 Multi-sipes improve traction in wet weather and dissipate heat for improved tread life, and the shallow tread design reduces rolling resistance for excellent fuel economy. 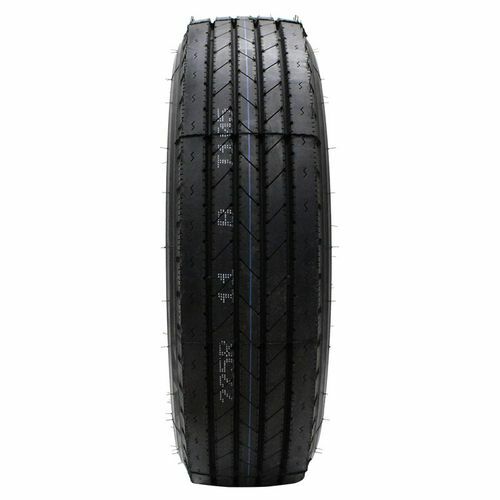 Purchase includes the Sailun S637 tire only. The wheel rim shown in the picture is not included. Picture provided is a stock picture from the manufacturer and may or may not reflect the actual product being ordered. 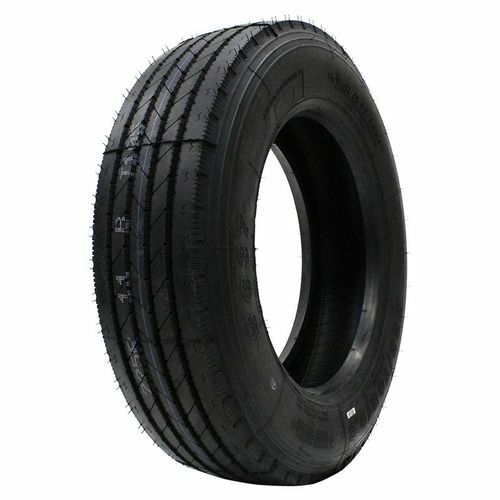 All Sailun S637 tires are continuously developing with manufactured improvements. With that said, Simple Tire and the manufacturers have the right to change these tire specifications at any time without notice or obligation. Please Note: Specifications of the Sailun S637 tires shown above are listed to be as accurate as possible based on the information provided to us by Sailun tires. I have been using these on a heavy boat trailer for 8 years or so. Never had a problem. Amazing tire, as worry free as tires get. Just bought a new 37' Travel Trailer and replaced the tires with these as soon as I got the rig home. You will never ever regret going with these tires on a TT , 5th wheel or boat trailer. I researched trailer tires and now know more than the tire dealer. Trust me I have the RV disease. When I swapped my old E-rated tires to the new G-rated Sailuns I removed the wheels and tires and drove the rim/tires to the dealer. So I got to feel how heavy each new Sailun tire was over the old Westlake tire. I believe the old tires were around 33 pounds each and the Sailuns are 63 pounds...nearly double! In fact the installers had a very tough time getting the new Sailuns onto my old rims as the new tires were VERY tough. I did verify with my rim manufacture that the rims would hold up to 130 psi. Sailuns are 110 max. I have since driven 4000 plus miles on the Sailuns including through the intense southern Utah heat and have had no issues. The Sailuns are rock solid and have improved my trailer's handling. Also the original tires were not balanced from factory so after the new Sailuns were installed and balanced I have no doubt my wheel bearing with last longer. PLEASE buy these if you need a strong tire! Go camping and stop worrying about your tires!